Casual-dining chains are the restaurant industry’s equivalent of middle-market department stores, where their offerings are typically undifferentiated in terms of both product offerings and price attractiveness. Denny’s, which call itself ‘America's Diner,’ is an exception among its casual-dining peers. Casual-dining restaurants are typically perceived as belonging to the most economically sensitive restaurant segment compared with their quick-service restaurant (QSR) and fine-dining peers. This is due to three key reasons. Firstly, casual-dining restaurants have a higher average check than fast-food restaurants, and their customers don't have purchasing power comparable to those who frequent fast-dining establishments. Secondly, their sales are typically concentrated with a single daypart, usually dinner. Thirdly, most casual-dining chains are asset-heavy, as a large part of their outlets tend to be company-owned and operated. Denny's (NASDAQ:DENN) is quite unlike the rest of its casual-dining peers. 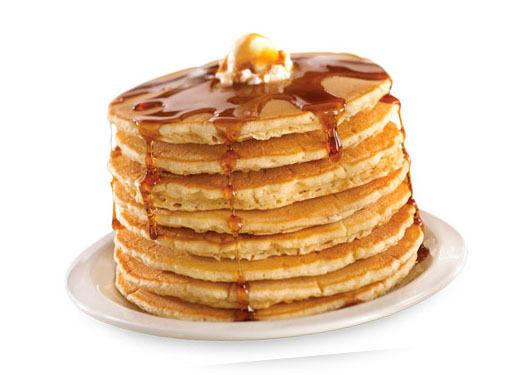 Denny's has a high degree of franchisee ownership, and it is open 24 hours a day, serving four dayparts: breakfast, lunch, dinner, and dessert. In addition, it has also tailored its menu and offerings to the spending power of a wider customer demographic. As of January, Denny's has a footprint of about 1,700 restaurants across the U.S. and 11 foreign countries, of which about 90% are franchised. In 2006, Denny's still owned a third of its restaurants before launching what it called the Franchise Growth Initiative (FGI) program in 2007. Under FGI, Denny's refranchised 380 company units from 2007 to 2012, which were among the bottom 60% of its restaurants in terms of operating margin. This was done with the aim of shedding underperforming assets to those interested or with the ability to turn them around and freeing up management resources and attention for its top-performing units. The results speak for themselves; Denny's has increased its adjusted earnings before interest, taxes, depreciation, and amortization margin from 9.9% in 2007 to 16% in 2012. Franchising isn't just a risk-reduction strategy in terms of transferring operating risk to franchisees; it's also a quick and convenient way to expand without significant capital investment. Denny's opened about 280 restaurants in the past four years, with franchisees accounting for the bulk of new openings. For example, in 2012 there were 39 new locations opened by franchisees, compared with one company opening. Another restaurant which has similarly grown rapidly via a franchise strategy is Dunkin' Brands (NASDAQ:DNKN). Close to 100% of Dunkin' stores are franchised, and that has been reflected in its growth trajectory. Between 2009 and 2011, an average of 200 Dunkin' Donuts net new stores were added every year. In 2012, net new additions rose to nearly 300. Looking ahead, Dunkin' has set a target of 380-410 net new restaurants annually. The franchising strategy has no geographical limitations, with Dunkin' currently conducting franchisee recruitment in countries such as Germany, Turkey, Scandinavia, and Brazil. Dunkin' expects 300-400 new Dunkin' Donuts and Baskin-Robbins restaurants to be opened abroad in 2014. That's on top of 415 such stores opened in 2013. While most QSRs like Dunkin' tend to be highly franchised, Denny's high level of franchisee ownership is relatively rare among its casual-dining peers. On one hand, the rich aren't concerned about splurging their money in fine-dining establishments, notwithstanding the state of the economy. On the other, budget-conscious and time-constrained diners are turning to QSRs to get quick and affordable meals. As a result, Denny's has rolled out its '$2, $4, $6, $8 value menu' to all of its stores since 2010. Examples include $2 for a stack of pancakes and $4 for chicken wraps. If you are feeling slightly wealthier one day, you can either spend $6 on a French toast breakfast or enjoy a seafood platter for $8. The results have been impressive. According to internal estimates, about one in five visits involve orders from the '$2, $4, $6, $8 value menu.' Furthermore, Denny's has reversed the negative same-store sales trend from 2010, with positive comparable-store sales in 11 of the past 12 quarters. If you have any doubt about the importance of price in influencing customer purchases, look no further than organic food retailer Sprouts Farmers Market (NASDAQ:SFM). While it is true that consumers are more than willing to pay a premium price for natural and organic food products, affordability still makes a difference. A typical supermarket customer tends to make his or her foray into natural and organic food products by gradually increasing basket size and product range. As a result, a reasonable entry price for such products is critical to higher adoption rates. Sprouts Farmers Market's motto, "Healthy Living for Less," is the best representation of its value-pricing strategy, and this has worked in its favor. Between 2008 and 2012, Sprouts Farmers has grown at twice the rate of the natural and organic food-retailing industry in general. Most casual-dining chains are 'stuck in the middle,' as they are too expensive for the average consumer and not sufficiently high-end to attract the ultra-affluent crowd. Also, a large proportion of casual-dining restaurants tend to be riskier, as they run their own stores. Denny's is a notable exception, as its value offerings and asset-light franchise model give it a distinct competitive advantage over its peers in the tough and competitive retail environment.